Clomid is a fertility medication that is commonly prescribed to help you conceive if you are having trouble achieving pregnancy. However, taking Clomid can also increase your chances of becoming pregnant with multiples. About 10% of pregnancies result in a multiple pregnancy while on Clomid, most being twins. In comparison, there is about a 2% chance of conceiving twins naturally. Less than 1% of pregnancies while on Clomid will result in triplets. It is rare that pregnancies will result in quadruplets or more while on Clomid. Most twins conceived while on Clomid will be fraternal and not identical. 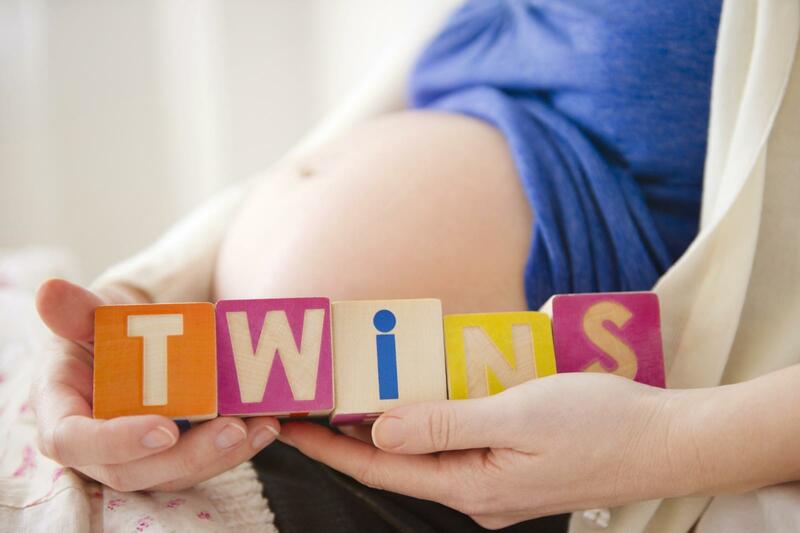 Taking a higher dose of Clomid will not necessarily increase your chances of having twins. The higher dose of Clomid may worsen the side effects. It can also thicken the cervical mucus making it more difficult for sperm to penetrate through to reach an egg. Fetal abnormalities of babies that were conceived while on Clomid were documented to be less than 1%. Keep in mind that other factors can also increase your chance of having multiples even without the use of Clomid, such as being over 35 years old and your family history. Men can also be prescribed Clomid which helps increase sperm production. However, Clomid is not responsible for multiples when men take it. Some women may want to use Clomid in order to try to get pregnant with multiples on purpose. It is true that Clomid can increase your chances, but multiples are never guaranteed. Of course, you should never buy Clomid without a prescription (online or elsewhere), there are too many potential dangers involved. Clomid should only be used for infertility and under a doctor's supervision. Clomid is generically known as clomiphene citrate and is only taken under a doctor's care after fertility tests are done. If your doctor determines you are having infertility issues, he will first prescribe Clomid which is a simpler, more affordable option than other fertility treatments. While every patient's treatment plan is different, the doctor may prescribe a typical dose which is 50mg of Clomid per day for five days starting on day three of your cycle. This treatment may be prescribed (with some possible adjustments) and attempted for six cycles. Approximately 80% of women taking Clomid will successfully ovulate during their cycle and about 10% will conceive. Pregnancy will typically occur within six months for couples using Clomid while the majority of women will conceive within the first three months. Despite Clomid's popularity, it may cause mild to serious side effects. The doctor who prescribes Clomid should make you aware of the possible side effects. Mild side effects can usually be treated at home. If you are experiencing more moderate to serious side effects, you should report this to your doctor immediately. You may develop an ovarian cyst due to treatment. This is typically benign and usually resolves on its own. In rare situations, surgical removal of the cyst may be necessary. Ovarian hyperstimulation is when the ovaries become enlarged due to fertility drugs, but rarely occurs while on Clomid. While it is exciting to be pregnant with twins (or triplets), you will have to be closely monitored by your doctor and will be considered a high-risk pregnancy. It is possible that with prolonged use of Clomid, it could increase your risk of getting ovarian cancer. Gonadotropins such as Gonal-F and Follistim - They are typically used when Clomid fails. They are stronger than Clomid and given by injection. IUI or Intrauterine insemination - This is a procedure in which the sperm is 'injected' directly into the uterus around the time of ovulation. IVF or In vitro fertilization - This is a procedure that extracts mature eggs and fertilizes them with sperm in a lab. Afterwards, the embryos are surgically transferred back into the uterus. When couples are facing infertility issues, it can be a very frustrating and emotional time. You should make sure that you do your homework and are knowledgeable about Clomid and the process. Don't forget to ask your doctor or nurse any questions you may have and most importantly be patient. It'll be no time at all before you are holding your little bundle(s) of joy.